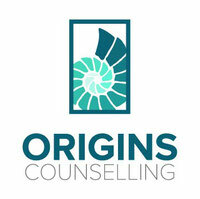 I have been privileged to work alongside people for 25 years and continue to feel inspired by the counselling process. Counselling can help you overcome difficult situations, achieve your personal goals and find new direction and meaning in your life. Counselling can be a very effective tool to help you achieve your personal goals. I have found that small changes can make a great deal of difference in our lives. I will encourage you to move away from an over- focus on the problem, towards dreaming and thinking about how to get what you want. I work in a goal oriented way and will help work towards the changes you want to make. Most people benefit from counselling in 12 sessions or less. My approach can be characterized as eclectic. I can draw upon a variety of methods to help you move forward in your life. I can suggest to you what approach is best for your problem. If I cannot help you, I have a broad network I can refer you to.